3. You can create unforgettable memories at the shooting place of the TV drama "Goblin"
6. Special 1+1 Event during 3rd ~ 10th June! This option is for 1+1 Event only. Customers who will visit between 3~10 June please select this option! 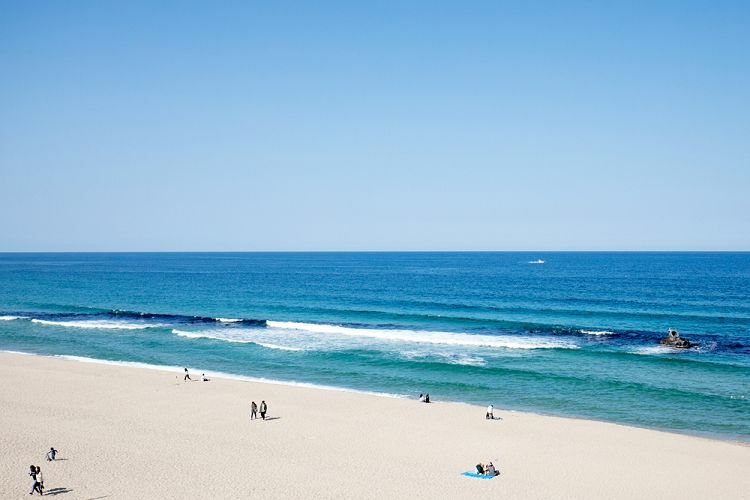 Most of the tourists are familiar with the oceans of Busan, Jeju, Gyeongpo, Sokcho, and Incheon. But when it comes to "ocean", the Gangnneun ocean should definitely not be missed out! In Gangneung, there are lots of tiny and cute cafes; and there is also a legend about mermaids living in the deep and blue East Ocean. 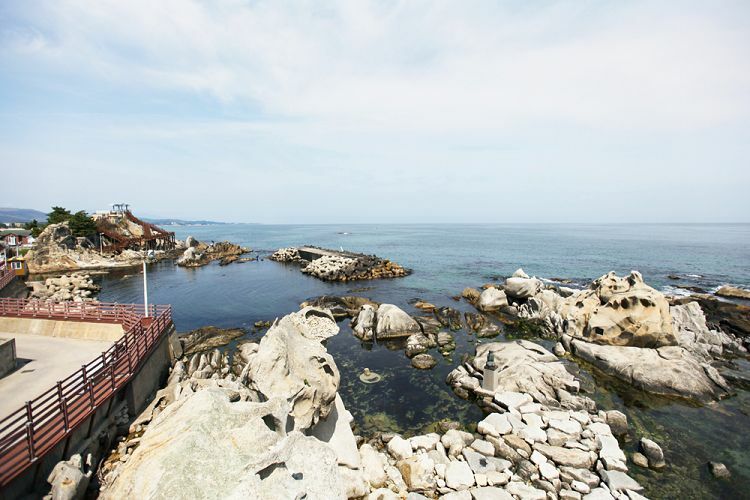 Since the ocean of Gangneung is really clean and the natural environment is so beautiful, it is one of the vacation spots that is best for healing and relaxation. Especially when April comes, there will be thousands of cherry blossoms in areas near Gyeongpodae. Gyeongpo Lake is a tourist attraction receiving lots of love from Koreans because it is a huge lake, and is surrounded by beautiful sceneries. 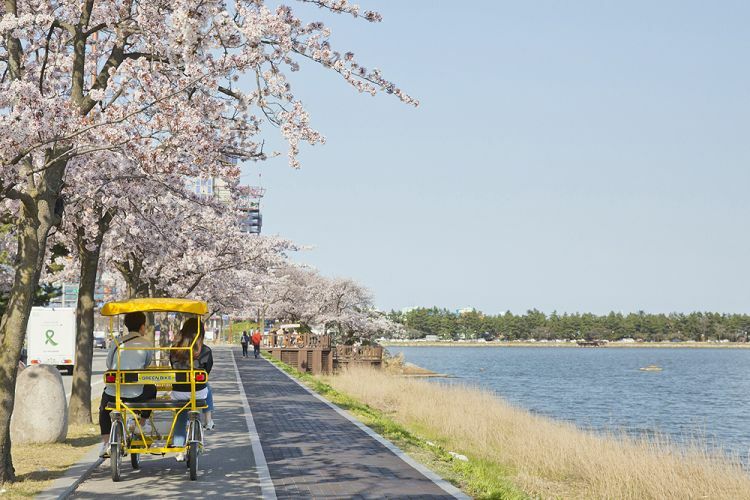 It is a MUST to ride a bicycle in Gyeongpo Lake! Come and enjoy the romantic scenery around the lake by riding the bike! 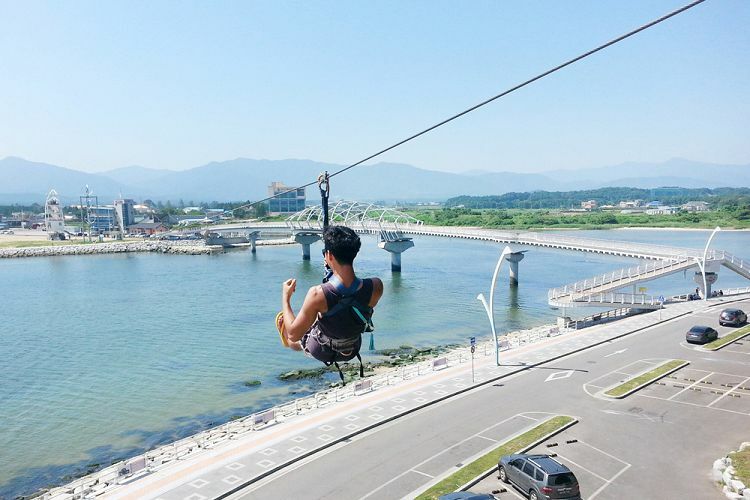 • If you have selected the bike option, you will be riding a bike near Gyeongpodae. If you haven't, you will be visiting Seongyojang. 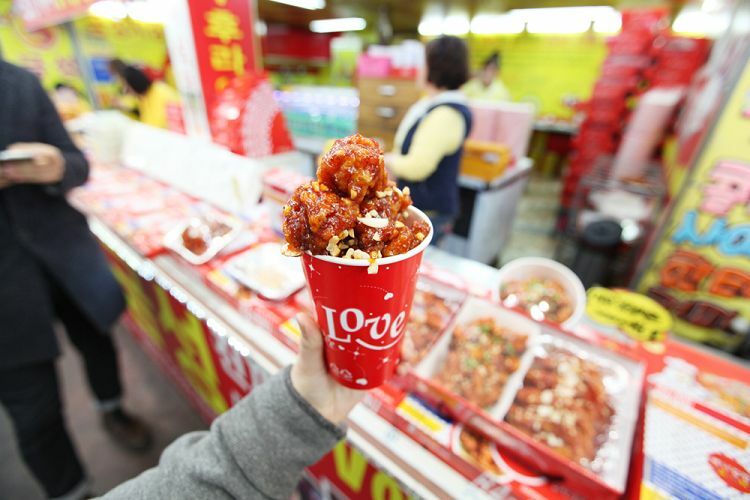 It is the largest and most representative market in Gangneung, and it is famous for its various kinds of snacks. You must try the sweet and sour chicken as well as Korean-style cheese pancake in the Central Market! 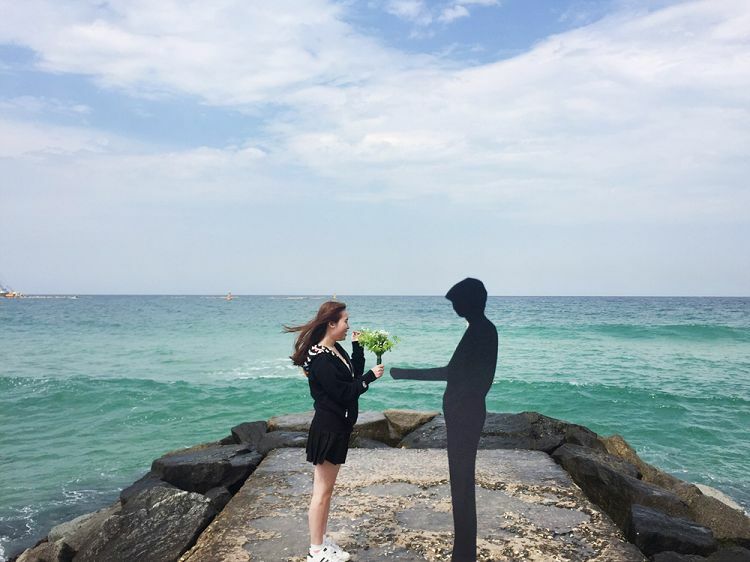 Yeongjin Beach becomes famous because it is the shooting place of the TV drama "Goblin". Take a picture with your "goblin" at the seashore! Anmok Beach is famous for its beautiful coffee street, and it is the beach that all tourists going to Gangneung must visit. Taste a cup of delicious coffee while looking at the ocean in a cafe near Anmok Beach. It is highly recommended to those who need healing and relaxation. Sodol Adeul Rock is related to a legend about an old couple who gave birth to a son after praying for 100 consecutive days, and dreams will come true if couples pray to the rock. Therefore, it is one of the favourite places that newly married couples visit. In the Sodol Adeul Rock Park, due to the erosion by the wind and waves, rocks and stones are in strange shapes. 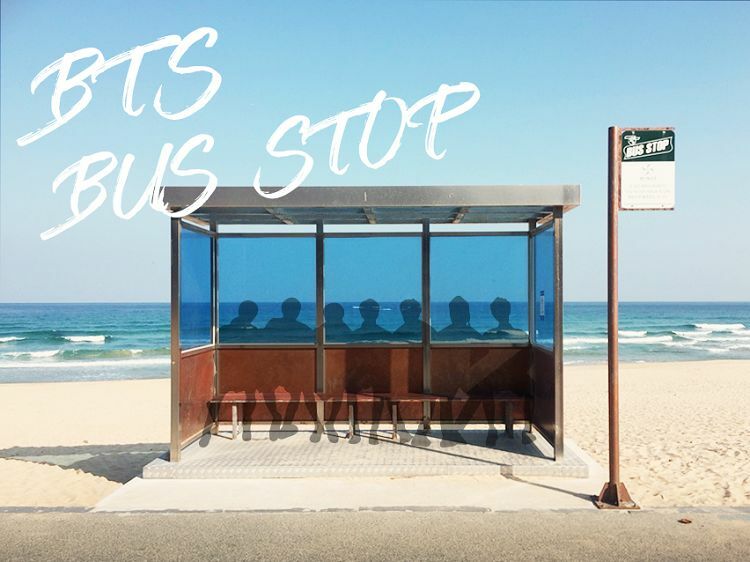 It is the bus stop that has appeared in the MV "You Never Walk Alone". ※ Find the staff holding the sign "Winter Friends"
1. PLEASE BE PUNCTUAL (Basically we don't wait for more than 3 minutes. We would not wait for you if you are late and all fares are non-refundable). 2. Please bring along your voucher with you before boarding. Seoul Pass reservation number and personal information will be checked at the meeting point. 3. Itinerary may subject to changes due to unexpected circumstances. 4. Zip wire and bike might be canceled due to weather condition. 5. Itinerary may subject to changes due to a traffic jam. 6. Tour cancellation due to insufficient participants or organizer circumstances will be notified via email by the CS team. 7. There will be no tour during the summer holiday period and Mid-Autumn Festival (7/23 ~ 8/15 ; 9/11~15). 8. Free entrance for infants under 48 months, but no extra seats will be provided. 3) You have to select the EVENT option.